Sure, it was a bit odd and I wasn’t exactly sure what to make of it. But she’s looked that way as long as I’ve known her, so I didn’t even think to ask about it. I figured it was just a part of the way she looked. No big deal, as far as I was concerned. But when Rachel called me crying one day, I was deeply upset about what I had heard. I mean, you would figure that childish teasing is something that eight year-olds do. He called me a ‘crater face’”, Rachel sobbed through the phone. She had been seeing someone new. A guy about her age – north of 30, for the record – had been taking Rachel out on dates for about a month or two at the time. I’m not sure how it started, but during the course of one of those outings, an argument ensued. You don’t need someone so immature that he would resort to name calling,” I assured her. And although she’s definitely over this guy now – and with a much nicer one at present, I’m happy to report – I wonder if she has entirely gotten past what he called her. Rachel, you see, has acne scars. I didn’t know her as a teenager – we met at a work function in our adult years – so I don’t know to what extent she suffered from acne when she was younger. However, like some adults who used to battle with acne, Rachel lives with constant reminders of her younger days as “pimply kid”. Her words, not mine. She explained that even after the pimples seemed to die down, she couldn’t quite eliminate the scarring that they left behind. This doesn’t happen with everyone who suffers from acne, mind you, but in Rachel’s case, her face noticeably has colored spots where acne lesions once were. They carry a light-pinkish colour. They are not particularly off-putting in my opinion, but they are noticeable enough. Rachel has never seemed to let them bother her, but I can tell that being teased about them was certainly no fun for her. There is, by the way, a treatment that is highly recommended for such a condition. A little while back, I blogged about the wonders of Fractional CO2 Laser as a method of attaining younger, smoother looking skin. 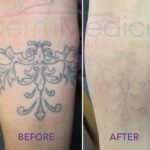 This particular treatment utilizes a laser that heats the skin to help it form new collagen. The damaged skin cells are removed to expose the fresher layers of skin beneath. It is highly recommended that you speak to a skin care professional or dermatologist about Fractional CO2 Laser if you feel that acne scars are a problem for you. 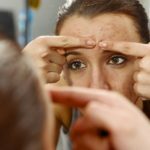 It’s hard enough having acne as a teenager, so you shouldn’t have to live with memories of your zits forever. Perhaps, it’s time to smooth things out!